Welcome To Our Complete Guide To The Best Heated Dog Bed Options. Including Handy Reviews And Top Tips For Making The Right Choice. 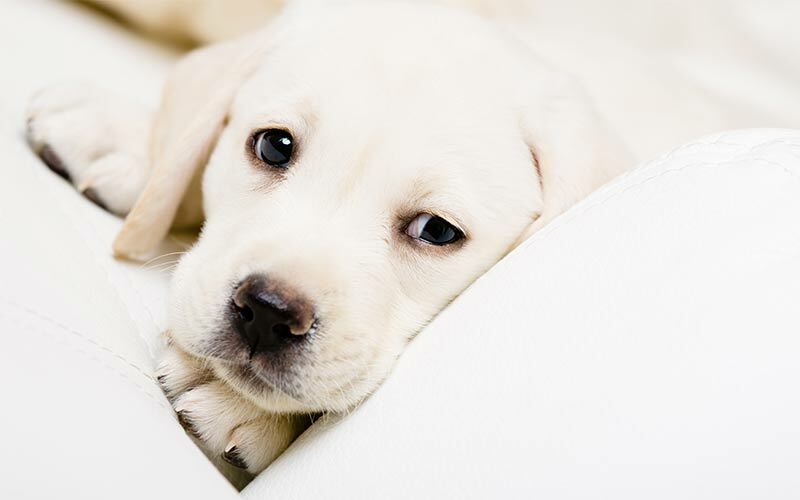 As a pet parent, you want your pup to be as happy, healthy and comfortable as possible. And sometimes the standard dog bed just doesn’t meet his needs. Whether it is not cutting it when it comes to the cold weather, or soothing those old and sore joints. That is where a heating dog bed comes in. You can find out more about these in the article below, along with several other good heated dog bed options. But which dog bed is best for your dog’s particular needs? And how do you pick the best product to make your pup feel comfortable in all temperatures? Well, we explore all of these things in this handy heated dog bed guide. 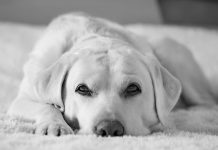 Before we start looking at some of the dog beds that are available, let’s talk a little bit about why you may want to buy a heated bed in the first place. Some dogs are simply not made to withstand harsh temperatures. 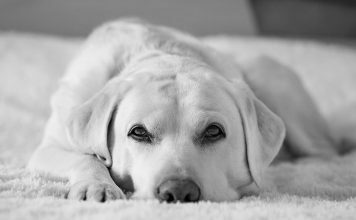 Dogs that are older and have an osteoarthritis condition can experience some relief from a heated bed as well. Heat as part of a physical rehabilitation regimen is advised. A heated dog bed can surely provide the cozy and relaxing heat that your dog’s needs. Not only is heat soothing when it comes to arthritis, but it encourages blood flow to the joints too. Increased blood flow brings oxygen and nutrients to the joints so they can retain their overall health. Of course, a heated dog bed can also give your dog the cozy space he wants, so he stays off your couch or bed! 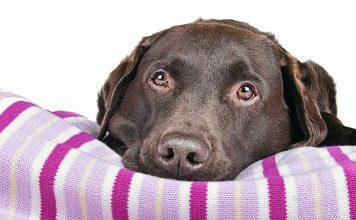 If you think your pooch would benefit from a heated dog bed, then one of the most important things you will need to do is choose the heating method. 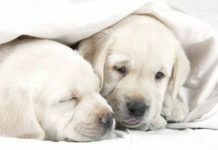 Electrical heating is by far the most common heating method, especially when it comes to an indoor heated dog bed. These types of beds are usually bolster varieties that feature thick padding or they are flat beds that have a thinner pad. The beds have a heating pad just below the padding material, and it is very similar to a heating pad with a winding element inside an insulated covering. Some beds do not require any electricity at all. They instead have small removable packs or pads that can be heated in the microwave. Gel packs are an option and can be converted into cold packs in the summer with the help of your refrigerator. Some pads come equipped with small beads as well, and the beads are made from silica, glycerin, or polypropylene. If you want a no-thrills type of bed, then there are self-heating varieties too. These beds are made with a thick insulation that traps your dog’s body heat and radiates it back to him while he sleeps. All of these heating methods work well when implemented in a cozy and soft dog bed. 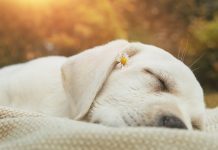 Think of your dog’s heating needs, where you want to place the bed, and also your general costs when picking the bed that is best for your canine. Electric heated dog beds are the most popular and are a great choice if you live in the northeast. Where the temperatures drop to the single digits during the winter months. The beds provide the most consistent heat with little to no effort on your part. The K&H Manufacturing Thermo-Snuggly Sleeper is a favorite amongst dog owners. It features a medium width of 26 inches, but a larger 31 inch variety is available as well, and so is a small heated dog bed. The bed is a cushioned and baffled option with an internal thermostat that keeps the bed consistent with your dog’s body temperature. This means that you do not have to worry about your dog overheating. Since the bed only uses 6 watts of electricity, you can leave it plugged in at all times too, without seeing a higher electric bill. The Thermo-Snuggly Sleeper has a removable heating pad and cushions for easy cleaning. 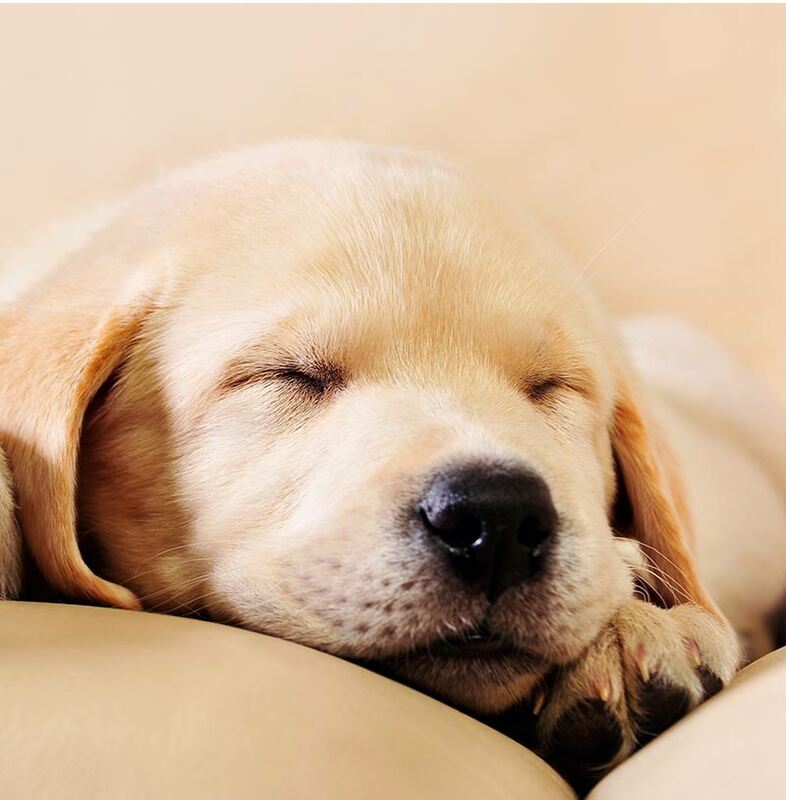 If your dog likes to take a snooze on your covered porch, garage, or barn after romping in the snow, then heated dog beds for outside are just the way to relax. These beds are very similar to the indoor varieties. However, they are made to keep your canine comfortable in extremely cold temperatures. This is true of the K&H Pet Products Lectro-Soft Outdoor Heated Bed. This extremely popular product is made to retain heat at temperatures as low as 20 degrees Fahrenheit. 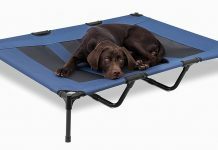 The PVC cover of the bed even resists moisture while the included fleece cover helps keep your pup comfortable. The bed also comes with a thick layer of padding and a steel wrapped electrical cord that stays strong against the elements. This type of wrapping is always a good option for heated dog beds for outdoor use. If your dog is messy and tends to slobber or spill water onto his bed, then a simple electric heated bed may not cut it. What you need is a heated dog bed with an added layer of waterproof protection. Namsan has you covered with the Warmer Pet Heating Pad with waterproof cover. This bed is a 19.8 by 19.8 bed that provides heat with a temperature between 95 and 113 degrees. The soft outside cover is a soft and comfortable one, while the inside enclosure is waterproof. The Namsan bed is a much thinner one than other varieties, so it is a perfect addition to your regular dog bed, if your dog already has one that he loves. You can either set it over or under the other bed or you can simply place it on the floor if you want to. Keep in mind, this bed is made for indoor use, even though it is waterproof. If you like the thinner beds, like the Namsan variety, but have a larger dog, then a full sized heating blanket might be a better choice. One such option is the Fluffy Paws Indoor Pet Bed Warmer Electric Heated Pad. This large sized bed is 20.9 by 28.4 inches wide and features a chew resistant cord, soft fleece cover, and skid proof underside coating. The Fluffy Paws bed features two heat settings for ideal canine comfort and can reach temperatures as high as 100 degrees Fahrenheit. The pad is water resistant in case of spills and other accidents, and the outer fleece covering is machine washable. This heating blanket, like many other popular products, is energy efficient and uses only 34 watts of electricity. 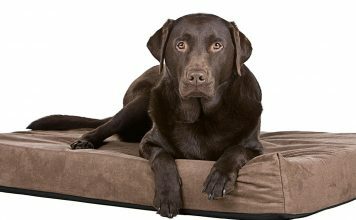 Speaking of large dogs, if you are looking for heated dog beds for large dogs that are both comfortable and warm, then you may just need a specialized bed like the 25 by 36 inch K&H Pet Products Lectro heated dog bed. This bed is a good size and due to its width and length, it does use a bit of extra electricity at 60 watts. However, this is still fairly low and the bed can be used outdoors as well as indoors. The bed is also made with a thin PVC cover for protection against the elements, and a long and wrapped cord is included as well. Of course, if you have a larger dog then one of those large sized beds may seem dinky to your pooch. 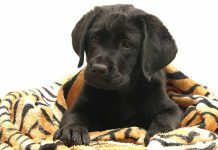 Big dogs still like to be cozy though, so try adding a K&H Manufacturing Pet Bed Warmer under your dog’s favorite bed. It only uses 22 watts and is MET listed for safety. If you do not have a bed just yet, then try the Armarkat Pet Bed Mat and add the bed warmer right underneath the cushion. The bed warmer looks a lot like a typical heating pad. It uses only 22 watts of electricity and can be used with any bed as long as you use the product indoors. The warmer has a built in thermostat to reduce overheating issues and it meets MET safety standards. 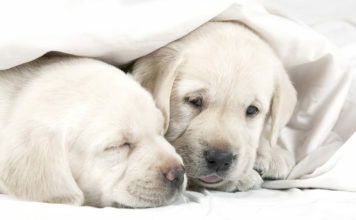 Heated pet beds for dogs are a great choice, but what if you do not want to use extra electricity to warm the bed? If you are a thrifty individual, or if you simply do not like the idea of your precious pet sleeping on an electric heating element wire, then try a K&H Pet Products Microwavable Pet Bed Warmer. This warmer is a neoprene covered gel pad that can be slipped underneath your dog’s bed to provide a full 12 hours of warmth. The warmer can be placed directly in the microwave for two minutes and reheated any time you want to give your dog a bit of warmth. While this pad is great for indoor and outdoor use, it is also an awesome choice for a heated dog bed for car. 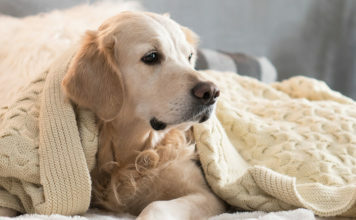 If you want warmth to soothe your dog’s aching joints, then a thin warmer or blanket that sits on the floor may not be wise. Your canine companion needs some cushion along with the heat. 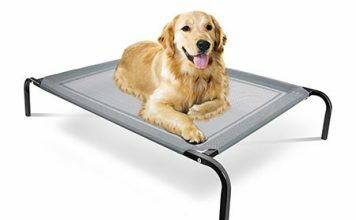 This is exactly what the PLS Pet Paradise Orthopedic Pet Bed offers. While this bed is not a heated bed in the traditional sense, the medical grade foam, pillow top, and plush suede and corduroy covering help to retain your dog’s body heat and radiate it back to him. The PLS product comes in three different sizes and includes a 48 inch long, extra large option to accommodate even the largest pooch. If you like the idea of heated dog beds without electricity, then memory foam dog beds are a great option too. The jumbo Orthopedic Memory Foam Dog Bed With Pillow and Waterproof Liner from KOPEKS is ideal. This bed features a thick layer of memory foam that cushions your dog’s body under his weight and then bounces back once he gets up. 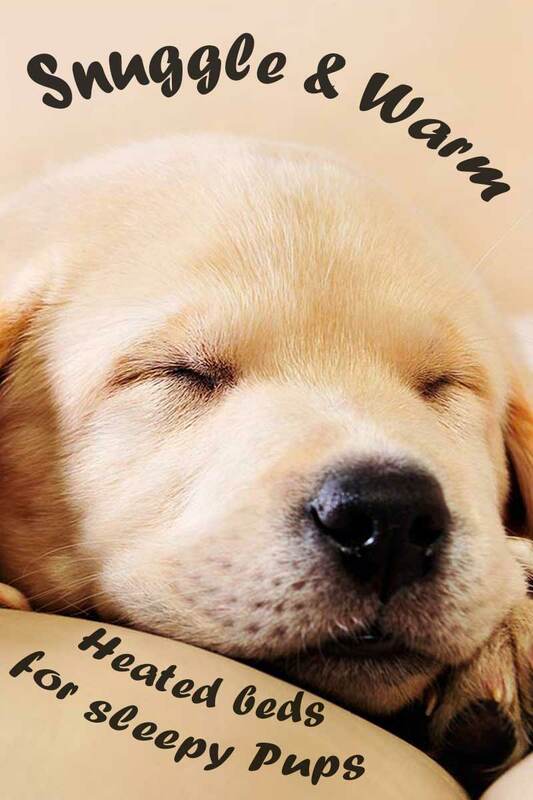 The foam of the bed radiates heat like other foam beds to keep your dog warm in the winter. The KOPEKS bed comes equipped with a pillow for added luxury and a soft suede outer cover that can be easily spot cleaned. Heated dog beds do not just offer luxury during the cold winter months. 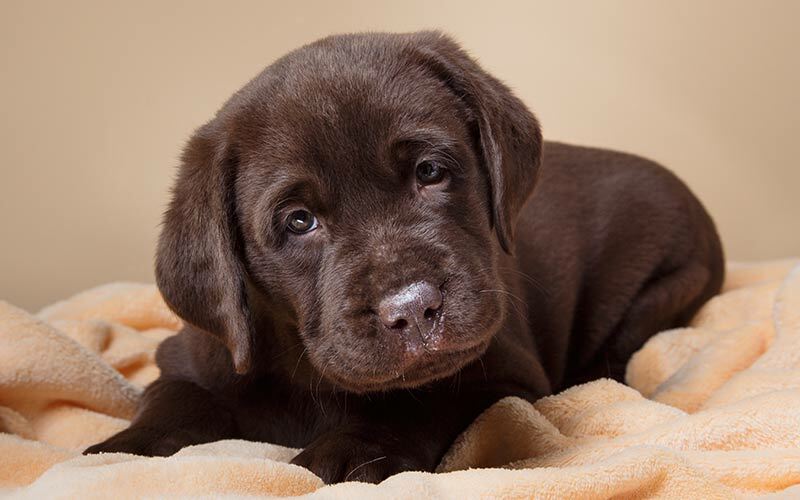 They also help to encourage blood flow through old and aching joints, and they keep thin coated dogs from shivering once the temperatures drop. There are many products available that offer warmth and even some that help to radiate your dog’s own body heat back towards him, like a cordless heated dog bed. 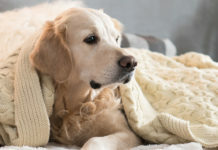 The choice is yours, but we think we have narrowed things down just a bit to make your search for an indoor heated dog bed or even outdoor heated dog beds for large dogs a bit easier. Do you have a favorite heated bed of your own or are you currently searching for the best product to keep your canine toasty in the winter?